Our range of products include boss chairs, director chairs, ergonomic chairboss chairs and office executive chair. 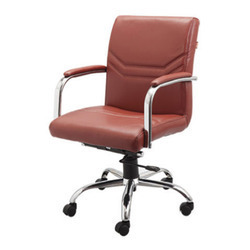 This ergonomic chair utilises high-quality materials and durable leatherette fabric. 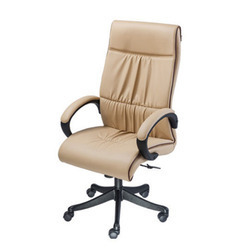 It provides comfortable high back posture. It bears upholstered seat, back and arms. 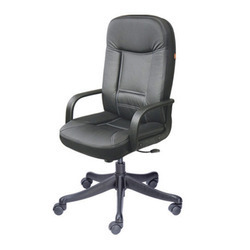 The chair is fitted with readily adjustable gas-lift and tilt mechanisms to adjust the seat height and angle. 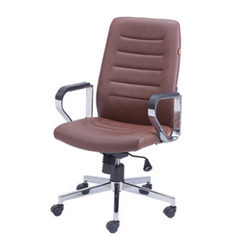 The chair comes fitted with very sturdy steel wheels or optionally matching nylon wheels.This design exemplifies our commitment to satisfy the seating needs of modern offices. Numerous shades of the leatherette fabric are available to perfectly match with all types of interiors. The manufacturing process utilities the cutting edge technology with an essence of decoration.We are well equipped to fulfil the bulk requirements of the corporate world. Dimensions: H 45" x W 28" x D 28"
To be cleaned using a damp sponge or soft cloth lint-free cloth on a regular basis. Use a vacuum cleaner service tool to clean the seam. 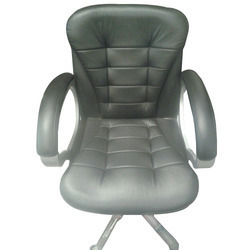 This ergonomic chair utilises high quality materials and durable leatherette fabric. 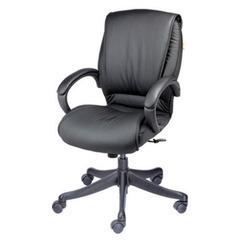 It provides comfortable high back posture. It bears upholstered seat, back and arms. 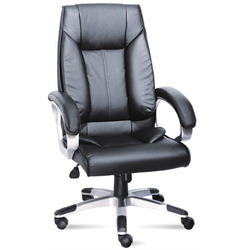 The chair is fitted with readily adjustable gas-lift and tilt mechanisms to adjust the seat height and angle. 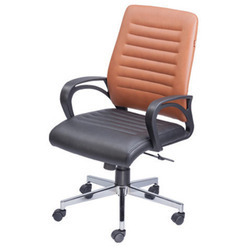 The chair comes fitted with very sturdy steel wheels or optionally matching nylon wheels.This design exemplifies our commitment to satisfy the seating needs of modern offices. Numerous shades of the leatherette fabric are available to perfectly match with all types of interiors. The manufacturing process utilises the cutting edge technology with an essence of decoration.We are well equipped to fulfil the bulk requirements of the corporate world. 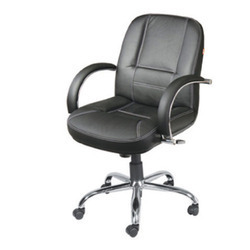 This ergonomic chair utilises high quality materials and durable leatherette fabric. 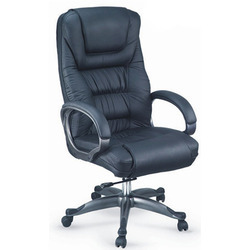 It provides comfortable high back posture. It bears upholstered seat, back and arms. The chair is fitted with readily adjustable gas-lift and tilt mechanisms to adjust the seat height and angle. 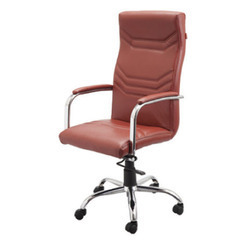 The chair comes fitted with very sturdy steel wheels or optionally matching nylon wheels.This design exemplifies our commitment to satisfy the seating needs of modern offices. Numerous shades of the leatherette fabric are available to perfectly match with all types of interiors. The manufacturing process utilities the cutting edge technology with an essence of decoration.We are well equipped to fulfill the bulk requirements of the corporate world. 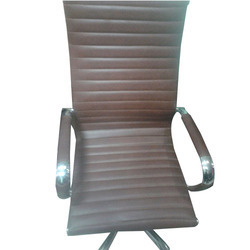 This ergonomic chair utilises high quality materials and durable leatherette fabric. 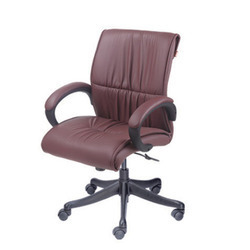 It provides comfortable high back posture. It bears upholstered seat, back and arms. 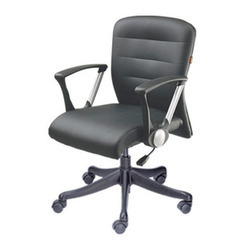 The chair is fitted with readily adjustable gas-lift and tilt mechanisms to adjust the seat height and angle. 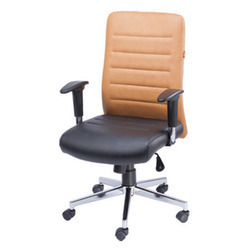 The chair comes fitted with very sturdy steel wheels or optionally matching nylon wheels.This design exemplifies our commitment to satisfy the seating needs of modern offices. Numerous shades of the leatherette fabric are available to perfectly match with all types of interiors. The manufacturing process utilizes the cutting edge technology with an essence of decoration.We are well equipped to fulfill the bulk requirements of the corporate world. 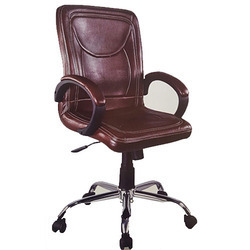 This ergonomic chair utilises high quality materials and durable leatherette fabric. 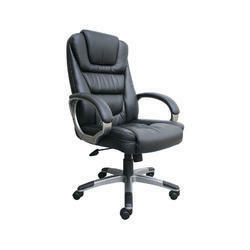 It provides comfortable high back posture. It bears upholstered seat, back and arms. The chair is fitted with readily adjustable gas-lift and tilt mechanisms to adjust the seat height and angle. 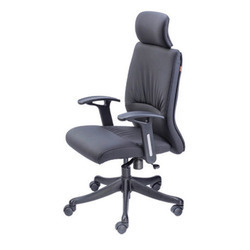 The chair comes fitted with very sturdy steel wheels or optionally matching nylon wheels.This design exemplifies our commitment to satisfy the seating needs of modern offices. Numerous shades of the leatherette fabric are available to perfectly match with all types of interiors. The manufacturing process utilises the cutting edge technology with an essence of decoration.We are well equipped to fulfill the bulk requirements of the corporate world. 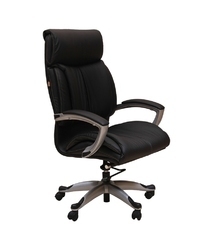 This ergonomic chair utilises high quality materials and durable leatherette fabric. 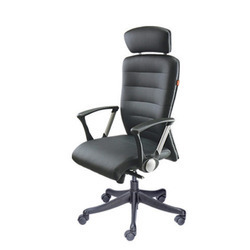 It provides comfortable high back posture. It bears upholstered seat, back and arms. The chair is fitted with readily adjustable gas-lift and tilt mechanisms to adjust the seat height and angle. 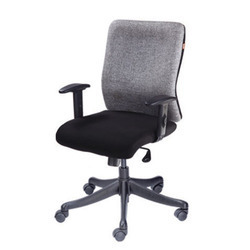 The chair comes fitted with very sturdy steel wheels or optionally matching nylon wheels.This design exemplifies our commitment to satisfy the seating needs of modern offices. Numerous shades of the leatherette fabric are available to perfectly match with all types of interiors. The manufacturing process utilities the cutting edge technology with an essence of decoration.We are well equipped to fulfil the bulk requirements of the corporate world.